Regardless of how long you have lived at your current address, there is always a tinge of emotional attachment to it. Every corner of the room has a patch of memory etched on it. The kitchen where you used to cook for your lover, the living room where you always sleep at when you get drunk, or the bathroom where you cry your heart out in times of unbearable pain. Moving out is more than just moving into another house; it’s about leaving your past behind and taking a step forward to another chance of a new life. You may also see graduation announcement cards. 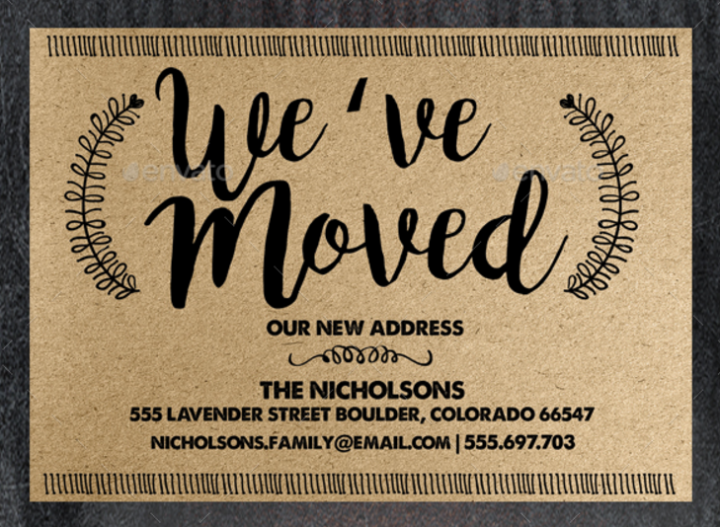 For various reasons, there are some people who prefer to move out quietly and don’t want to inform anyone of their new address. 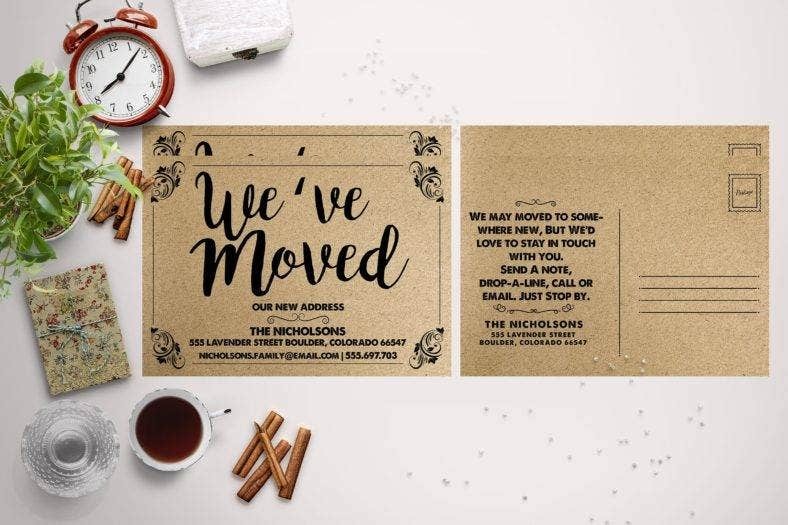 But for those who would want their family and friends to visit them in their new abode, you can create a moving announcement and send it to them. With that said, wouldn’t it be fun to play with its design? You can create any design that you want for it, but if you can’t decide on which direction you want the design to take, then you definitely need some inspiration or just a list of options to use as the design. We have collected an extensive list of funny, simple, creative, and aesthetically pleasing designs and templates that you can’t resist to take a look at. 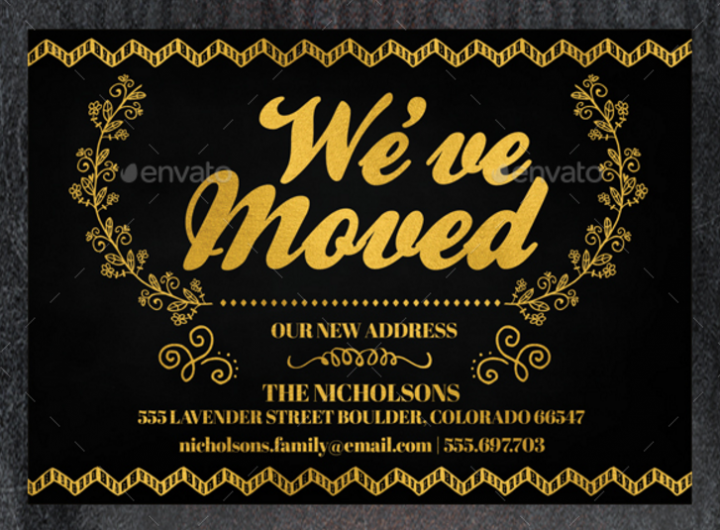 You can easily download them and use them for your moving announcement. Care to check them out? 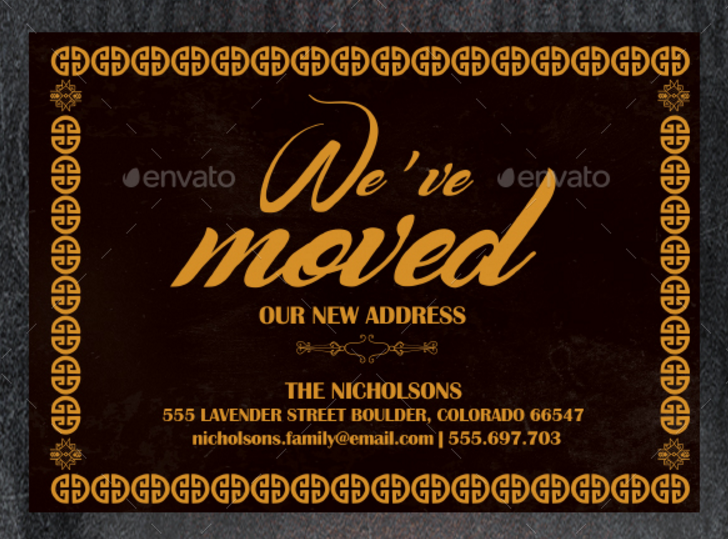 Why Do You Need to Choose Moving Announcement Templates? Everything in this digital age is being made with how each product provides convenience and efficiency for the customers in mind. People are getting lazier but are taking lesser time to finish one task to another. Before, you need a graphic designer to create a template for you. But with how things are today, these templates are now accessible online and can be used with a single click on the download button. 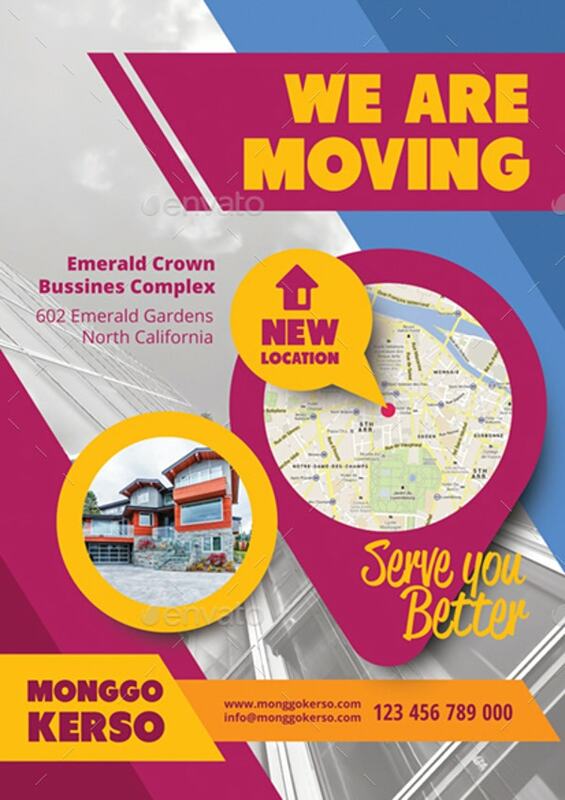 Aside from the accessibility of these templates, there are other reasons why you should opt for digital moving announcement templates among others. Once you finish downloading a template, you can then use it for your own consumption. But before you use it for various purposes, you need to edit the details and may make some changes on it, and this can only be done if the templates are in digital format and if the creators of these templates made them be editable. All you have to do is open the template using a photo-editing software program, whether on your phone or computer and customize the template. It’s as simple as that. Who says buying templates are expensive? Remember, just because the product is expensive, it doesn’t mean that it’s not crappy. Because admittedly, there are products that would cost you an arm and a leg but it would still won’t justify the price for it. You can find affordable templates that are of high quality, just like the ones that we have shown you in this article. You don’t have to worry if you prioritize the budget more than the design because frankly, the designs here are all of the top-notch standards regardless of how low or high the price is. So, if you are on a budget, you can just choose the cheapest one and it would still be on par with the best of the best templates out there. You may also like baby announcement templates. Our decisions can be easily swayed depending on the options laid upon us. For one moment we like our moving announcement to have a sleek design, but in the next five seconds, we want it to be minimalistic. Confusing, isn’t it? And it gives a mild headache, too. But that’s what’s great about having a lot of options to choose from. You can weigh out various designs and carefully dissect every corner of each design until you can finally decide as to which is the best among the rest. Also, it gives you a backup plan in case you ended up not liking the final output of the template that you thought you have chosen as the final design. You may also like birth announcement cards. There will come a time that everything that we need is going to be downloadable. Want new clothes? Download them using a new app! Craving for ramen? Download them to your refrigerator! I don’t even want to think about how our world is going to be like in the future. But for now, what’s downloadable are digital files like these moving announcement templates. You can easily access them online, whether using your smartphone or computer and then purchase them by entering your credit or debit card details and download them with a single click of a button. You no longer have to think of hiring a graphic designer because you can instantly have a template at a single touch of your thumb. How to Create a Moving Announcement You’ll be Proud of? Designing may not be everyone’s forte but there are ways in which we can achieve an output that we will definitely be proud of. So, let’s go through some of the tips that will help us achieve that satisfying result. You may also see wedding announcement cards. If you want to be proud of the design that you will make, you need to define it first. 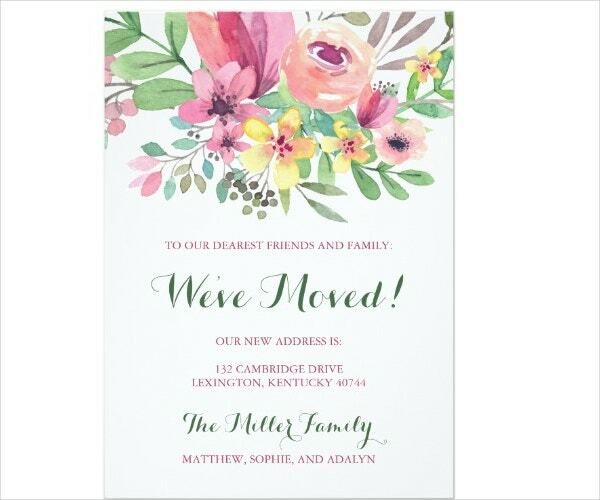 Some people define their moving announcement that is simple and plain like establishing a minimalistic theme, and there are also those who want it to be stylish, sleek, or funny. 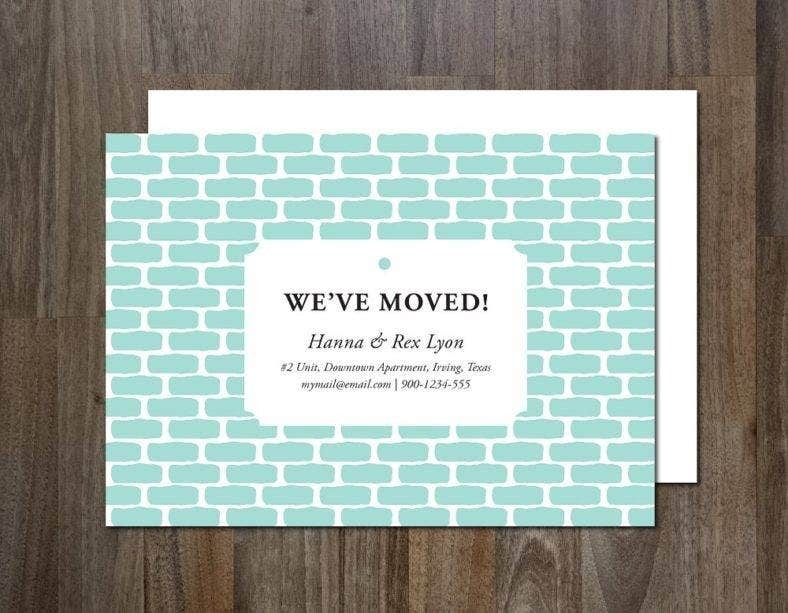 The concept will depend on how you want to present your moving announcement. But, if anything it would be better if it would reflect your personality. This would add a personal touch to the announcement which the recipients will certainly appreciate. If you are still unsure of what concept to go for, you can always take a look back at this article and choose a design from the list of designs and templates. To make your design look more like a decent announcement for moving out than that of a broke, homeless person looking for a new place to sleep at, then you better make it look like so. 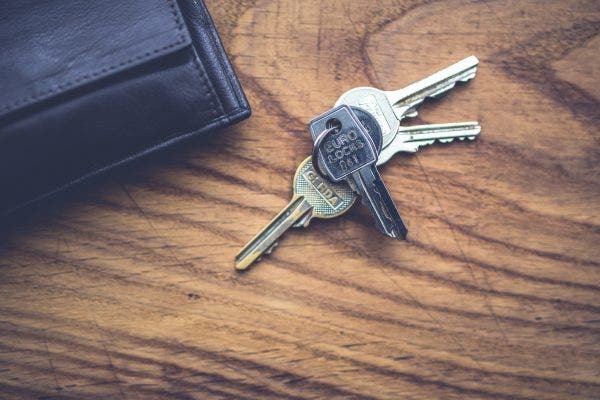 Gather all the necessary images that relate to moving out, like keys, doors, houses, or even an empty wallet because why not? Maybe you really are broke that’s why you are moving to a cheaper house. Aside from the images you get from the internet or images that you created yourself, you can also include a personal photo if you are more than willing to spread your face to everyone you’ll send the moving announcement too. This makes for a very personal design which the recipients would love to keep, especially if it’s meme-worthy. You may also see birth announcement templates. The power of colors is monumental and it will affect how people will look at your design. What some people perceive as destructive, conflicting, and unpleasing might be different for others. Combine colors that you think will effectively showcase the beauty of the design and beautifully portray the vision you have for it. Don’t let people dictate you of what you should do with it. It’s your art anyway. Your vision is different from theirs, and if they don’t like it, then it’s their problem. They don’t have to keep the moving announcement if they don’t want to. Again, beauty is subjective. You can never please everyone with your choices but do them anyway. Choose the colors that will make you happy with the results after mixing them all up. Choose what you want. Always. 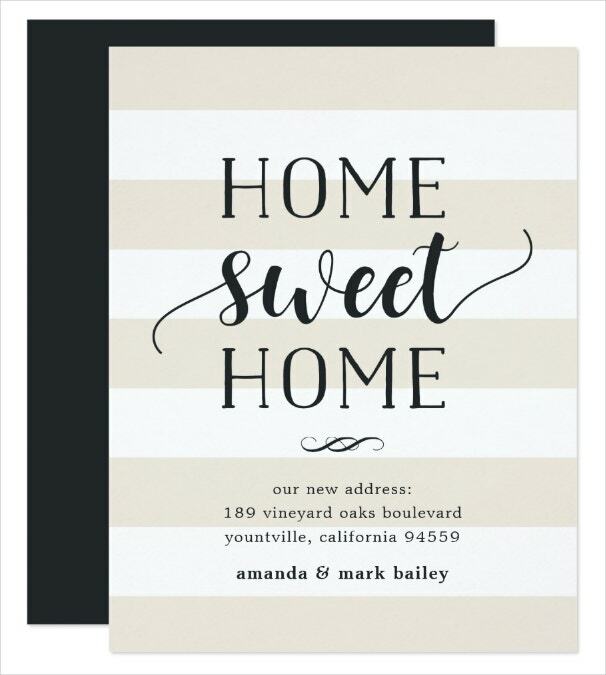 You may also like sample wedding announcement templates. Planning the layout requires you to set the positions of the design elements. For example, at the center of the layout, you set a certain area where you are going to place the image of a key or a specific text. This will help you avoid cramping the elements together or giving too much empty space in the layout, unless if that’s what you are aiming for. Also, planning the layout helps you estimate how many graphical elements you are going to use. This will allow you to save time in arranging the elements and choosing which will go to which position. 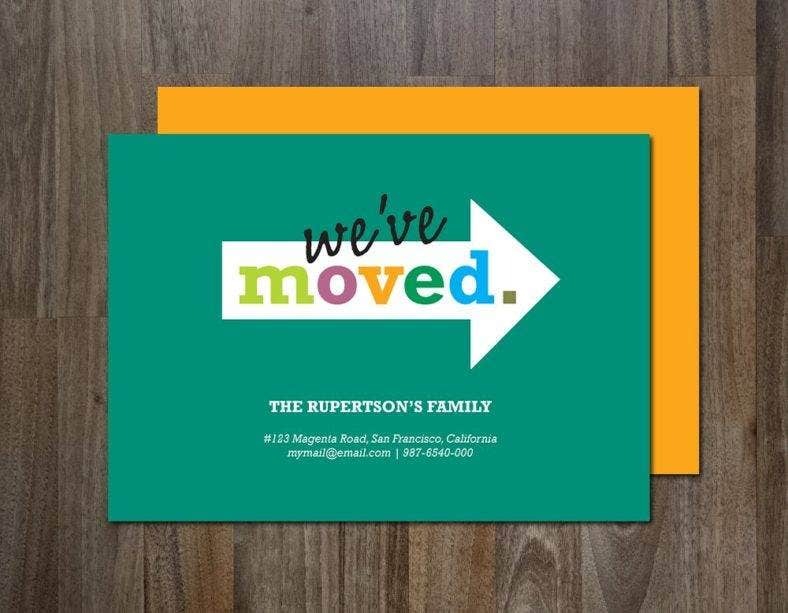 You can choose any size you want for your moving announcement. Set the size as small as a business card or create one that’s as big as an invitation card. But even though you have the freedom to choose any size, you have to take note of the scale of the design. The design can be resized accordingly but it doesn’t always work out well. Sometimes, you need to reduce the number of elements to make more space for others. 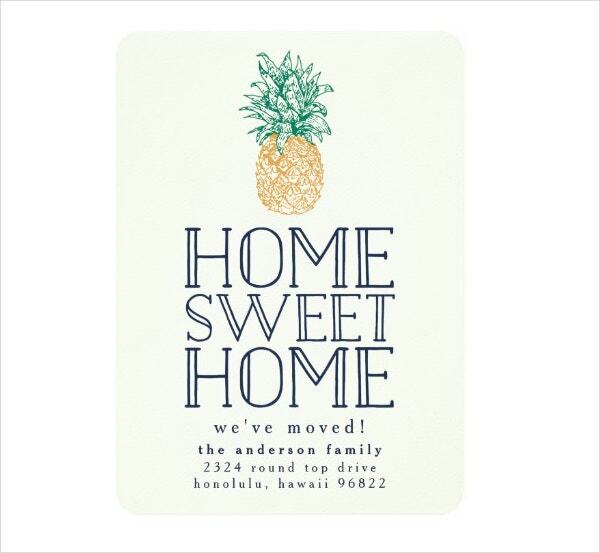 It wouldn’t be a moving announcement with the details of your new residence. Include all the necessary information about your new address, especially if they are unfamiliar with your family and friends. You can even include a picture of the facade of your new home so that when they decided to visit you, they can easily spot it and lessen the time spent looking for it. Also, you can include a detailed map just to make sure they arrive at the correct area. You don’t want them to end up in a jungle, do you? You may also see pregnancy announcement cards. Things are going to be hectic and tiring once you start packing your things. 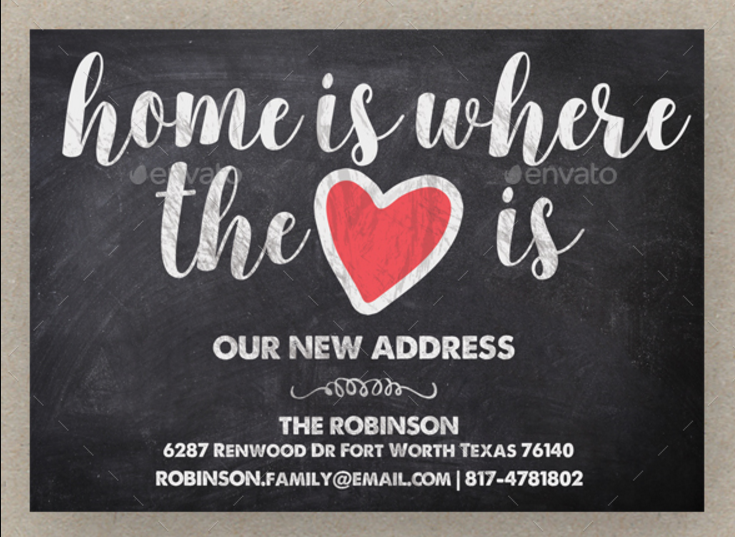 So before you forget, make sure that you have already chosen a template for your moving announcement so you can send them to your family and friends. Also, don’t forget all the necessary details of your address so they won’t mistakingly go to another neighborhood. We wish you all the best and may you be happy in your new home! 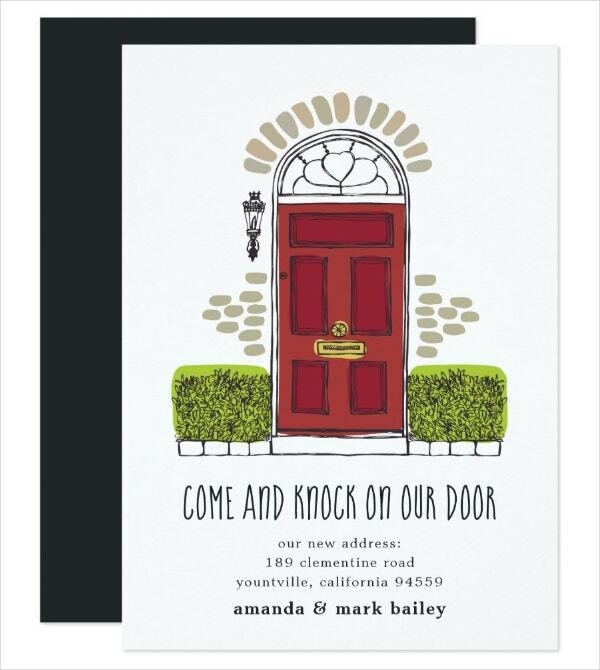 You may also like engagement announcement cards.